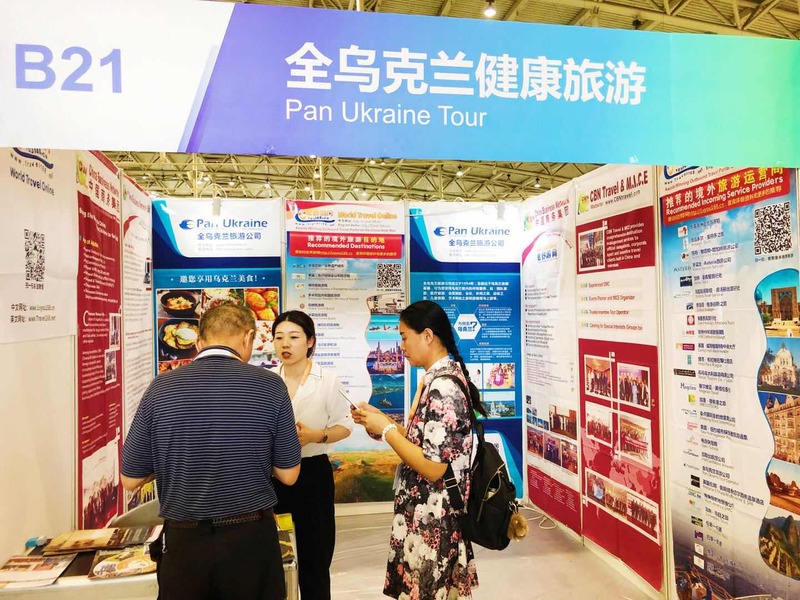 CBN Travel & MICE and World Travel Online participated in the 2018 Beijing International Health Tourism Expo (HTE), taking place from September 7 to 9, to introduce a promising health tourism destination to Chinese tour operators and tourists – Ukraine. Dr. Adam Wu, CEO of CBN Travel & MICE and World Travel Online attended the Expo and had a panel discussion with other guests on Symposium Theme II: Integration of Resources, Perfecting Industry China. 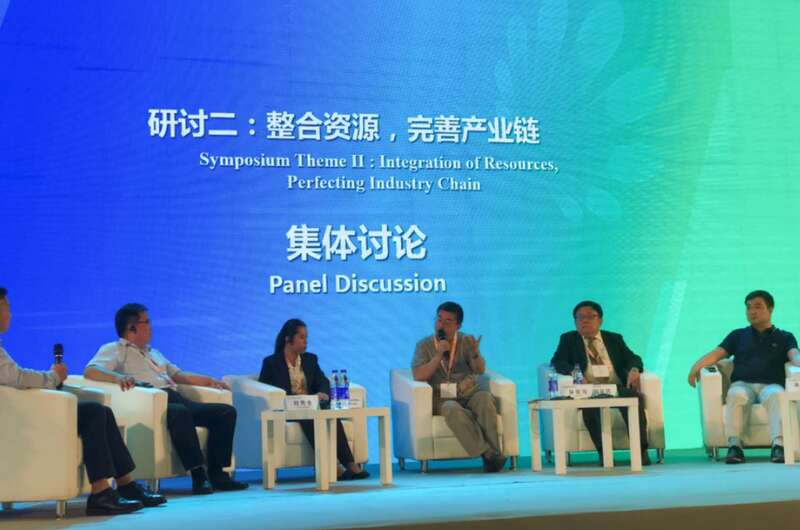 Dr. Adam Wu (right3) attended the panel discussion to share the way of Perfecting Industry China. Ukraine has excelled in the provision of private medical facilities, and health tourists can expect the highest standards of equipment and expertise. Institute of Cell Therapy was established in Kiev in 2003, and it is the largest medical facility specialized in research, treatment, and diagnostics, playing an important role in the development of cell-based therapies. Thanks to highly skilled doctors, a wide range of medical practice achievements in the field of Cryomedicine, non-drug therapies and cellular technologies have been implemented. All copyright methods of stem cell therapy are recognized internationally and awarded various certificates. Pan Ukraine Tour Operator, one of the exhibitors at HTE and inseparable partners in health tourism introduced by CBN Travel & MICE and World Travel Online, added the Institute of Cell Therapy in one of their programs named “Cell Treatment Program” , which will become popular among Chinese tour operators and tourists because of its innovative therapy methods. It is reported that 2018 Beijing International Health Tourism Expo has invited exhibitors from more than 20 provinces and cities (autonomous regions) to bring various health tourism routes and the exhibitors include tourism destinations, tourism management agencies, medical institutions, health tourism demonstration areas/demonstration bases, beauty agencies and other types with a large variety of industries. At the same time, the Organizing Committee has also invited nearly 200 high-quality buyers at home and abroad to negotiate for transactions on the site. This Expo also shared the latest health tourism information, and visitors can also buy preferential health tourism routes on the site.